Today I worked on my second block for the Supernova Quilt Along with Lee from Freshly Pieced and now that I've got the layout down, I am able to move along at a pretty fast pace without constantly referring to the instructions on my iPad. I know I've said it before, but it is a great Quilt Along and if you are unfamiliar with this QA, check out the Flickr group for photos of those who are done. Without a doubt my favorite is the red, but because I am using fabric from my stash, I only have enough of the red to make three blocks (and I need four) which is momentarily frustrating but I know will work itself out. 1. Supernova QA -Two out of eight blocks completed. All fabric is cut. 2. 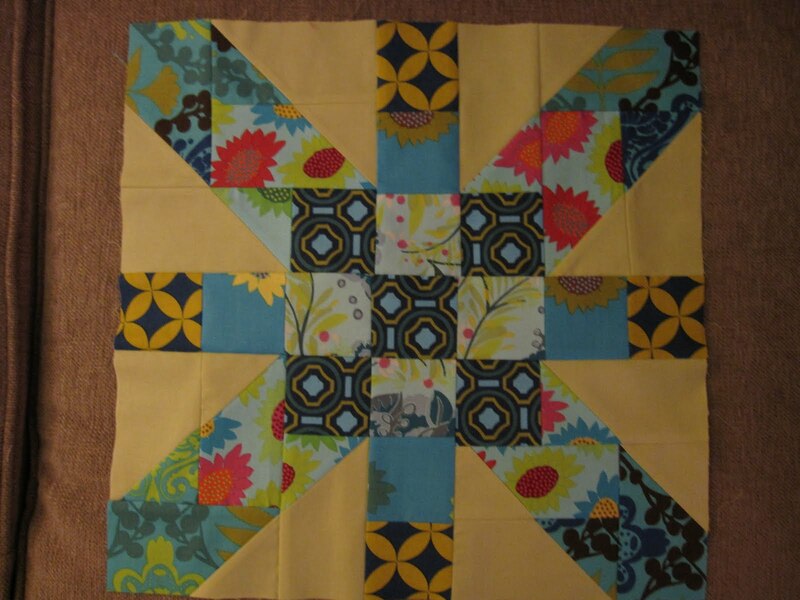 School Yard Quilt Top - Quilt top done, backing fabric & binding in house - need to baste. 3. Block-A-Palloza - I've made 10 block out of 16...stalled out. 4. Fat Quarter Shop 2010 Designer Mystery Block of the Month - Completed 8 out of the 11 blocks received...also stalled out. Two more weeks of school, wow... and then I'll be able to tackle that list above and move through it pretty fast. I know I've talked (on my podcast) about making a Barn Quilt for my summer project but I'm not going to even think about it until those four items above are no longer on my WIP list. On to the teenage boy in the house: Smart, intuitive and wise beyond his years is my oldest son and right now he is suffering through a big change with his club soccer team. This is the time of year when players are dropped and new players picked up by coaches in the club soccer world and this week my son is feeling the sting of those changes. How I wish I could say the right thing to explain to him how the changes will further him along in his goals and take the pain away from losing players that were his friends. The saddest part is that right now, he is not enjoying the sport that he loves so very much. And yes, he caught the ball. Happy what is left of Wednesday! 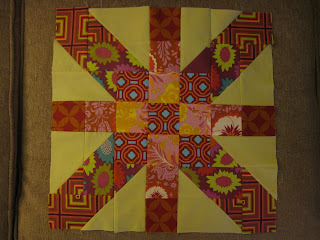 Your supernova blocks are wonderful, this is a really fun pattern as each block just looks great! The Supernova is such a pretty pattern and I love the colors you've picked! With two teenaged sons and a tween...I feel your pain. If only we could make things all better for them...and they still learn the lessons and grow...sigh! We're going through the soccer tryout ordeal this week. My son plays U15 travel, and his team is going to be split up.It is hard on the parents as well as the kids. I've grown to really like the other parents, and I will miss them next year!